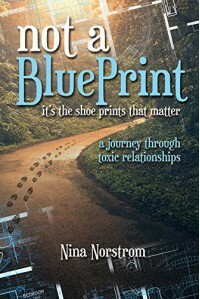 Not a Blueprint: It’s the Shoe Prints that Matter A Journey Through Toxic Relationships achieves what few other books offer, surveying the elements of toxic relationships and people in life which defines 'toxic' actions and tells how to handle them. That it does this with acknowledgement to the hand of God and a nod to the idea that "…that God gives us strong shoes to walk those paths." Makes for a discussion particularly recommended for spiritual self-help readers. The author knows her subject: toxic relationships at home, at work, and in life nearly destroyed her. She learned from these relationships: "My ultimate lesson in my journey has been that healthy relationships require honesty, compassion, strength, and courage. Given the right mechanisms, these traits make maneuvering through life less stormy." Her life story unfolds in these pages, from a religious upbringing and the importance of God in her life to her job, family, and friendships. Christian guilt, shame, sin, emotional attachments and parenting are explored with insights into toxic communications, individuals, and - yes - attractions to and between toxic personalities. Not a Blueprint thus serves a dual purpose, providing Nina Norstrom's autobiography and charting her life's course through toxicity and onto a more positive, supportive path. What's the difference between a 'blueprint' that guides one and the 'shoe print' mentioned in the title? Quite simply, this is a focus on the lasting effects ("shoe prints") which lessons learned from experience leaves on one's psyche and life. The author is quite clear about the difference and God's role in this: "…my belief is that God gives us strong shoes to walk those paths. If we are willing, we can readily learn to distinguish whether relationships are toxic or nontoxic." Followers of her footsteps should ideally be spiritually-minded readers who will appreciate the incorporation of God's purposes into discussions of the characteristics that constitute toxic relationships and how to handle or avoid them. 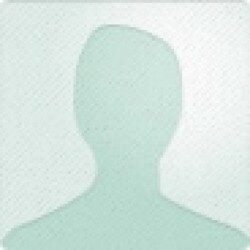 Readers with such a background will appreciate the consistent injections of faith into life experiences (a regular thread in the stories), and will appreciate the life lessons Norstrom shares along the way which serve to support that faith: "So, when a person comes into your life, don’t question their existence—just embrace their presence. Take it from the Holy Father: they are there for a reason, and we must embrace that moment." Each lesson provides enlightenment, making for an appealing combination of psychological and spiritual inspection recommended for self-help and Christian readers alike.